Notable as the pastor of a Baltimore-based African Methodist Episcopal Church called the Empowerment Temple, Bryant is also known for his "Got Power?" national television program and for his "Power for Life" international radio broadcast. 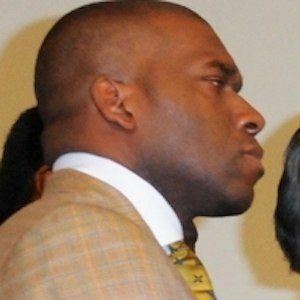 Raised in Massachusetts as the son of African Methodist Episcopal Bishop John Bryant, Jamal Bryant went on to study political science at Morehouse College (in Georgia) and religion at Duke University (in North Carolina). Before beginning his religious career, he directed the collegiate division of the NAACP. His first daughter, Topaz, was the result of his relationship with Crystal Madison. With his wife Gizelle Bryant, he had three more daughters: Grace, Adore, and Angel (he fathered a fifth daughter, Naomi, through an extramarital affair with Michelle Wedderburn). Over a century apart, he and Daniel Payne were bishops in the African Methodist Episcopal Church.